Rilakkuma the lazy bear who appeared at Kaoru's door and decided to take up residence with her. He is always feeling relaxed and even though he is lazy he is impossible to hate. Now straight up you will notice that the choices made regarding the sculpt of this figure are odd to say the least, however I knew going into this that he would look pretty naff when standing. 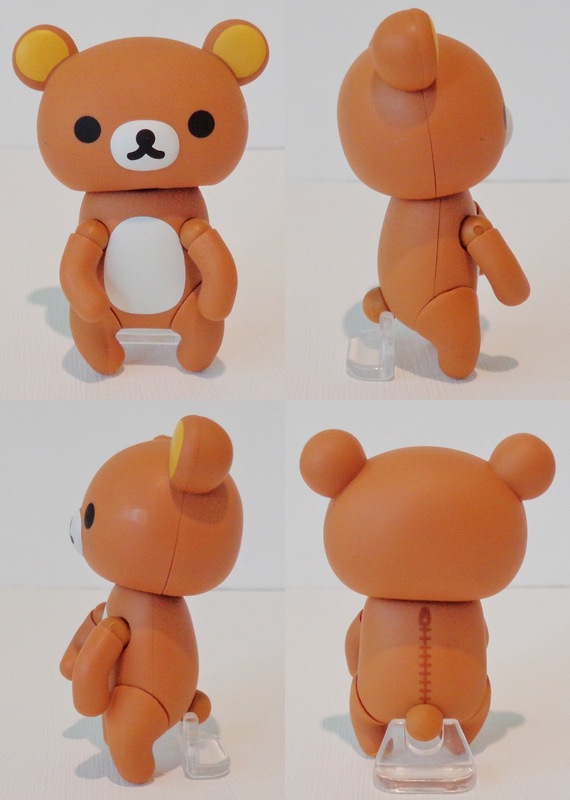 It appears that the sculpt was really designed with Rilakkuma's lazing around in mind. Instead of swivel joints and curved legs they should have gone with straight legs with a joint at the top and his arms should really be more to the side with an extra, small joint at the elbow. These changes would have made him look good in any pose but like I said I knew that wasn't the case going into it. What we get instead are awkward joints which don't do much, save his head which is on a double neck joint. I had hoped that maybe the look would improve from the prototype photos but alas he looks worse. His only cute moments come when posed as lying down or sitting. To make matters worse the paint job is shocking with one very noticeable black mark on his cheek (pictured below) and one on his back, neither of which I can remove with nail polish remover. There is also a small scratch on his nose and uneven paint on his tail. This is really the nail in the coffin for me in regards to Revoltech. It's as if they are not even trying any more, they make figures that look good in one pose whose joints don't work well and whose paint work is less than stellar. It is such a shame because I was rather looking forward to this little guy. 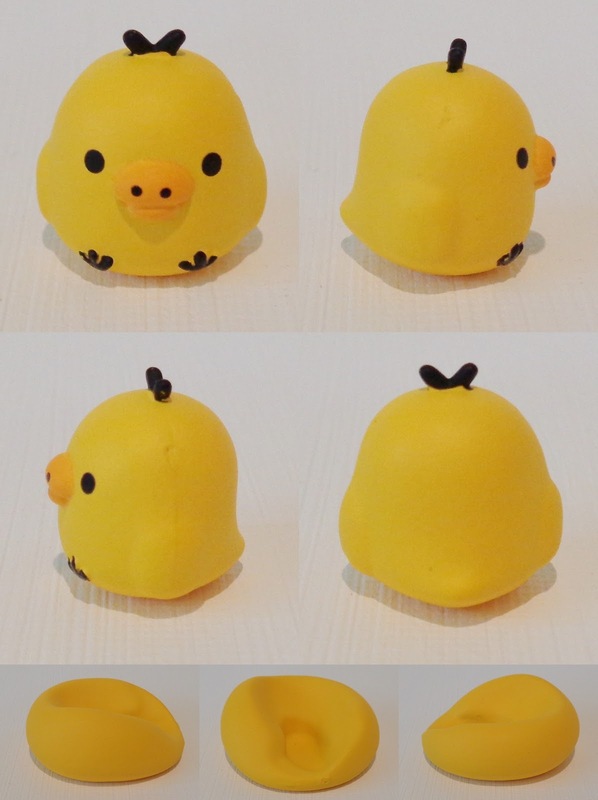 First up he comes with Kiiroitori the cute little canary who tries to keep him and Korilakkuma in line. Once again disappointed in the paint work as there is bleed on his head next to his hairs and scratch on his foot. He also has visible cut marks on each side of his head. There is also the yellow pillow which is indented so that Rilakkuma can lie down on it, however the indents shape doesn't seem to match him in any way I can work out. It looks as if you should be able to plug him into it but what ends up happening is you awkwardly rest him on it. There is a nice insert though which you can take out of the box. Over all I would not recommend this figure. Sculpt issues aside for the price (even though he's cheaper than most other figures) I expect to see at the very least good quality control. I will still be getting the Korilakkuma however as I may yet be able to salvage them and work around the flaws in order to use them in my comics.